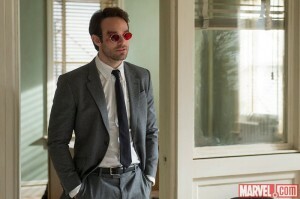 At New York Comic Con this year Marvel showed the first footage from the upcoming Netflix show based on the Daredevil comics. 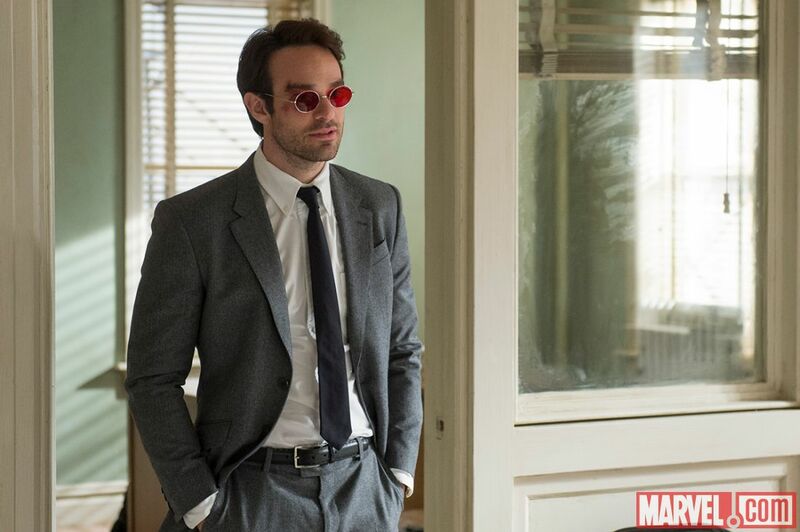 The footage hasn’t been released online as of yet but we do have pictures of the new Daredevil costume and a shot of British actor Charlie Cox as Matt Murdock. 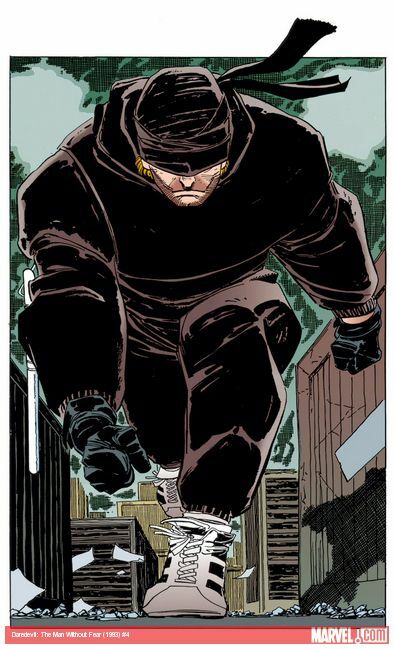 For a while it looked like the new look Daredevil might have been something like the Ben Afleck Daredevil but instead they have gone for a classic Frank Miller and John Romita, Jr.’s Daredevil: Man without Fear look. That book is thought to be one of the more iconic stories based on the blind vigilante. 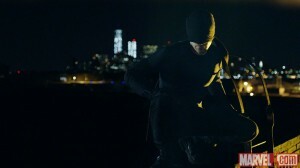 It’s another live action comic book incarnation based on one of Frank Millers comics following in the footsteps of the Dark Knight, Sin City, The Spirit, Robocop, 300 and The Wolverine. It’s amazing how many movies have been inspired by his old comics yet he seems to have given up on comics with a string of comic series being canceled including Batman : Boy Wonder, A new Sin City book and the still unreleased Xerxes book which supposedly inspired the second 300 movie. The Daredevil series will premier on Netflix in 2015 which will see all 13 episodes released all at the same time.